I’ve had a good day! Enjoyed watching the eclipse with my youngest two. We didn’t see complete totality but it was about 90% at my house. I was happy with what I saw without having to deal with traffic and crowds. 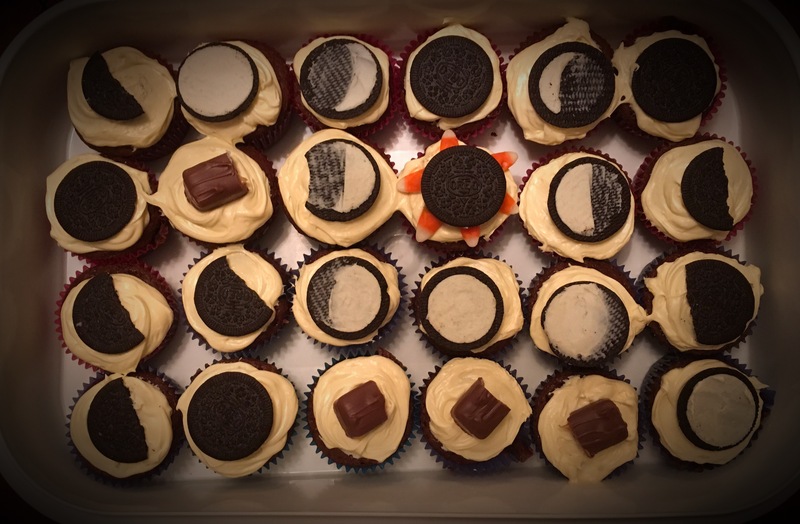 I made eclipse cupcakes for my family. I only ate a bite. I also made pumpkin spice pancakes for breakfast. I only had a bite of those too. I didn’t eat the best over the weekend so, I tried to be extra good today. I got in my steps thanks to Zumba this evening. I got in the pool a little while too this evening with my youngest. It has just been a pleasant day!